This week's Product Story showcases 6 Rivers Systems and their use of Omnify Software Solutions. 6 Rivers Systems (6RS) is a warehouse robotics startup disrupting a billion dollar industry with a new approach to automation. Founded in 2015, the company has brought to market a turnkey solution built on proprietary collaborative mobile robots and cloud-based enterprise software. While developing the next generation of their robotic platform, 6RS was ramping up a new Contract Manufacturer. It was difficult to share product information across internal and external teams. 6RS was in need of a new system to document and control all product life-cycle information. They were in search of an intuitive BOM and ECO management solution. 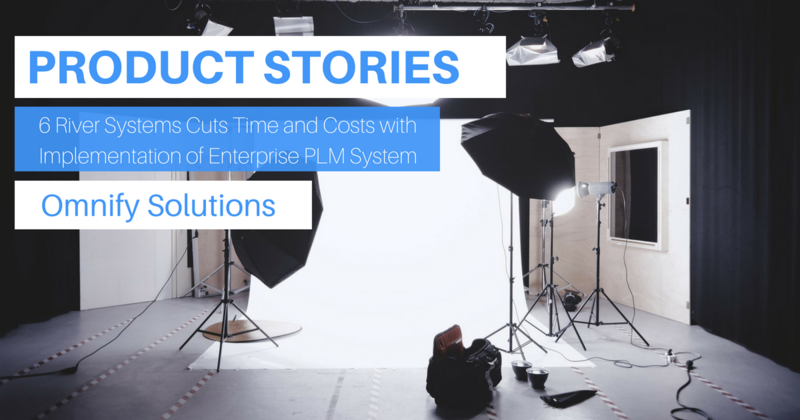 Omnify Software delivers web-based Product Lifecycle Management (PLM) solutions that enables the adoption of an enterprise PLM solution at a fraction of the time and cost of traditional solutions. It's an easy to use, scalable, and configurable solution that is ideal for start-up companies like 6RS. They were able to get up and running quickly with a hosted deployment. 6 Rivers Systems did not have a solid solution in place before introducing Omnify Empower PLM into their workflow. They were able to see improvement across the board with regards to ECO cycle time reduction, reduced rework and faster time-to-market. Most importantly for 6RS, they saw seamless communication with their external manufacturing partner.